This vintage postcard features an illustration of two adorable Victorian children, a boy and a girl, dressed for a party. 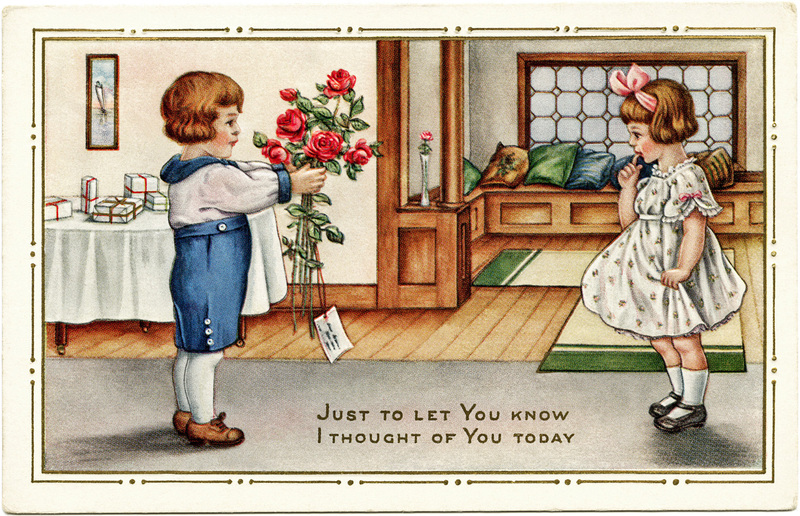 The boy is presenting the girl with a bouquet of red roses. There are wrapped gifts on a table in the background. 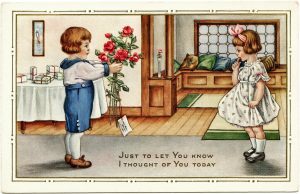 The message on the card is: Just to let you know I thought of you today.